A review of the Stadsarchief Gent (Ghent, Belgium). This brief assessment of the civic archive in Ghent is based on several trips of varying durations between the second year of my PhD in 2009, and research trips as a full time academic, most recently in March 2014. The town archives have been growing and evolving for centuries; my own work there has focused on the medieval civic records, thought the archive possesses incredibly rich resources for the town itself, and West Flanders as a whole, up to the modern day. The archive’s website (http://www.gent.be/zwartedoos) provides a useful overview, some digitised sources, and access to several inventories and guides, but the breadth of the archive can make it seem overwhelming at first, so the purpose of this review is to provide a users’ guide, particularly for postgraduate students or inexperienced archive users. The staff of the archive are incredibly helpful, even to confused PhD students who, like me in 2009, speak only basic Flemish. In many archives, one can do the ground work before arrival, and appear at the archive door with a list of documents to request; such is the size of the Ghent town archive that this is rarely the case. A researcher must look up documents (in my case guilds) in the recent published inventory guides, the Archiefgids (in my case volume 1, Oud archief ed. J. Decavele and J. Vannieuwenhuyse (1983)) and use these to work through the older, often hand-written detailed inventories of the individual resources. This may sound an elaborate process, but it means that when the documents arrive they can be used far more effectively and with far more accuracy. 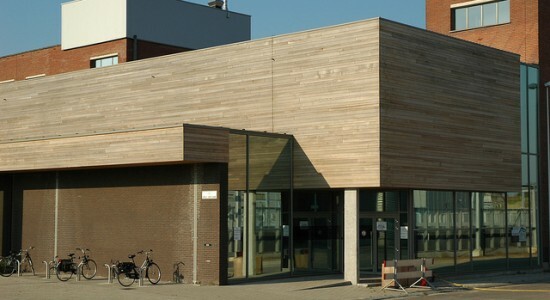 Occasionally, some items are not in the archive itself, having been moved to the Ghent Town Museum (Stadsmuseum Ghent, STAM) in recent years; usually a microfilm is available as a replacement and in any case the museum is not far away and allows use of their collection. As with most European archives, items can only be ordered at set times of the day, mostly once an hour, but any number of items can be requested and there are, unlike in the state archives of Belgium and France, no daily caps on the number of items than can be seen. The archive are also very generous in allowing for the use of digital photography; this has been invaluable in recent years as my trips have, by necessity of teaching, become far shorter in duration. Using the medieval resources of Ghent presents some challenges. The majority of the civic sources are in Middle Dutch; Ecclesiastical records might be in Latin, though Middle Dutch is more common; records issued from the princely court, especially from the courts of the Dukes of Burgundy after 1384, are likely to be in French and indeed some inter-urban communication is in French. The inventories too vary between Dutch and French, meaning that a researcher has to be aware of what they are looking for in both languages. The palaeography of Ghent is often more challenging than in other archives; for many sources scribes were paid by the line and so writing becomes smaller and abbreviations more common. The material available in the town archive for medieval Ghent is truly exceptional, as is to be expected for Flanders’s largest town, with an urban population of some 50,000 in the mid-fifteenth-century. The registers of municipal governance, the scheppenboeken (records of matters passed before the aldermen) and Rekeningen (town financial accounts) provide incredible insight into life in a medieval town. These sources often go into minute detail about the costs of new town fortification or about a legal dispute between two craft guilds, and often detailing wills and legal matters, allowing for a huge range of topics to be studies in great depth. The guild records, the focus of my current research, are similarly very rich, preserving property records, incomes and outgoings for the guild, membership lists and even records of devotion, allowing for an analysis of the guilds as socio-cultural communities as well as economic and political powers. The records of the hospitals of medieval and early modern Ghent, both those run by monastic orders and the civic institutions, records of the monasteries and nunneries of the area and even records of justice are all available and present huge potential for future study. Though my focus has always been the written records, the seals still attached to numerous documents, doodles within manuscripts, and heraldry included in civic records present enticing opportunities for future study. One of the most valuable pieces of advice my supervisor gave me in beginning archival work, and one I always pass on, is the value of looking in unusual places for information. Some of the best pieces of evidence used in my PhD came for a series called simply ‘niet genummerd’ (unnumbered) and I always request sources labelled as ‘varia’ or ‘general.’ Even in an archive as organised as the Ghent town archive there are new discoveries to be made. I recently found some very early guild dramatic texts within a guild book; the bulk of the register is very dry records of apprenticeship, but in taking the time to look in less obvious places I have found an extremely exciting source that is enriching my research. Though the records have been used and analysed for well over a century, there is still much to find. Publications of sources were undertaken by numerous late nineteenth and early twentieth-century writers, with Frans de Potter and Henri Pirenne among the most prolific. This does not mean the archives should not be used. History has changed a great deal in the last two generations and we are now asking new question of our established sources and can learn a great deal from returning to archives and spending time with documents. Many of the archive’s staff are researchers in their own right, and are always interested in how the collections are being used and new discoveries being made by their users. The town archive is a little outside of Ghent, in a building called De Zwarte Doos (the Black Box) on Dulle-Grietlaan, 12 in Gentbrugge. The archive can be reached from the town centre, on the Kouter, by taking tram 21/11 toward GentBrugge; the journey takes 10-20 minutes. The reading room is open from 8:30-6pm on a Monday, and from 8:30-4pm on Tuesday-Thursday; it is closed on Friday, Saturday and Sunday. These times are strictly followed. To register to use the archives is very easy: only a passport is needed, and there is no charge for using the archive. This is typical of Belgian town archives thought there are fees to use the state archive (rijksarchief). To make the most of a research trips, it’s worth spending Friday in another archive, either within Ghent (e.g. the state archive) or in another town (Bruges is only 25 minutes away and has a similarly rich town archive), or visiting an art gallery or one of the several museums (particularly the STAM) to appreciate the wealth of history in Ghent. Image: Stadsarchief – Die Zwarte Doos. Copyright Webmaster Stad Gent.